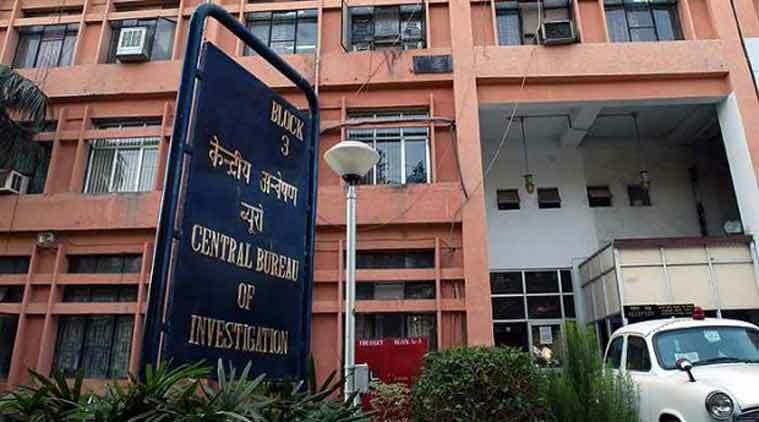 The CBI today recovered Rs 20 crore in cash during searches at 13 locations against two former Northern Railways officials and seven private firms in connection with alleged corruption in supply of packaged drinking water other than mandatory ‘Rail Neer’ in premium trains. CBI sources said a case has been registered against the then Chief Commercial Managers (PS and Catering) of Northern Railways M S Chalia and Sandeep Silas. The Ministry of Railways announced earlier today that two officials whose homes were raided by the CBI stand suspended. The agency has also booked private companies RK Associates Pvt Ltd, Satyam Caterers Pvt Ltd, Ambuj Hotel and Real Estate, PK Associates Pvt Ltd, Sunsine Pvt Ltd, Brandavan Food Product and Food World under Prevention of Corruption Act provisions. Silas has served as the private secretary of a former Union Minister. The sources claimed cash recovery of Rs 20 crore was made from the residence of Shyam Bihari Agrawal, his sons Abhishek Agrawal and Rahul Agarwal who own RK Associates and Brandavan Food Product. It is alleged that the accused had shown favour to these private firms in supply of cheap packaged drinking water (PDW) other than mandatory ‘Rail Neer’ in premium trains including Rajdhani and Shatabdi Express. CBI spokesperson Devpreet Singh said it was further alleged that the Railway Board had prescribed that IRCTC shall provide Rail Neer at a rate of Rs 10.50 (approx) per bottle to the private caterers and the private caterers will be paid Rs 15 (approx) per bottle for supplying the same to passengers in premium trains. However, the private suppliers in order to obtain undue gain, were allegedly supplying cheap packaged water, other than “Rail Neer”, available in the market at a rate of Rs 5.70 to 7.00 (approx) per bottle, thereby causing gain to themselves and loss to the exchequer, the official said. “The accused public servants allegedly did not take any action against the private parties providing catering services in the premium trains despite repeated requests of IRCTC for non-picking of allotted quota of ‘Rail Neer’ by Private Caterers,” the spokesperson said. CBI said directions of Railway Board to ensure supply of “Rail Neer” in premium trains were also ignored by the officials thereby causing undue pecuniary advantage to the private parties and corresponding loss to IRCTC. “Searches are being conducted today at 13 places in Delhi and Noida which led to recovery of cash amount of more than Rs 20 crore(approx) and a large number of incriminating documents,” the spokesperson said.